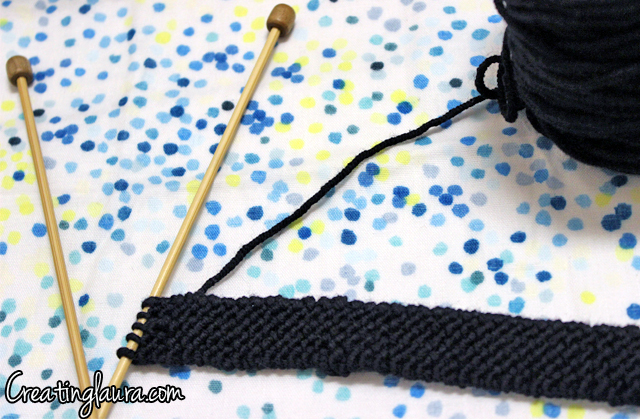 Creating Laura: Can you guess what I'm knitting this time? 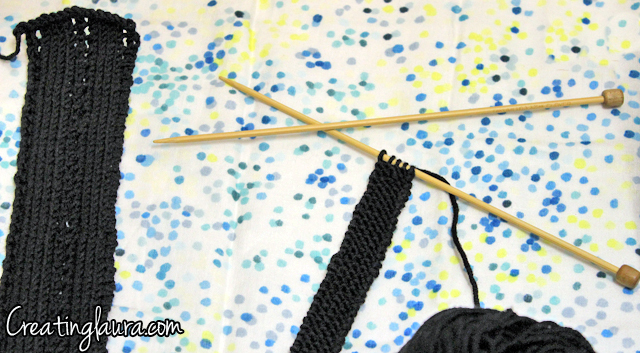 Can you guess what I'm knitting this time? 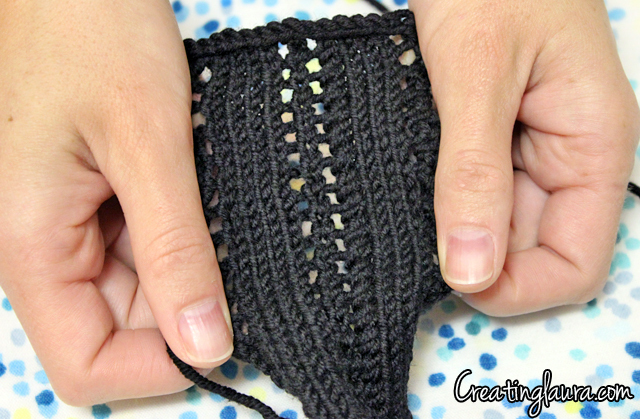 Last time I asked you guys to guess what I was knitting you were super good at it. Do you think you can do it again? Here's a hint: when I finish the project, those rows of holes will have ribbons threaded through them.